We are extraordinarily fortunate to have our invitation to Geshe-la accepted for the spring of 2017! His amazing, warm hearted, generous, accessible, and articulate teachings are NOT to be missed. 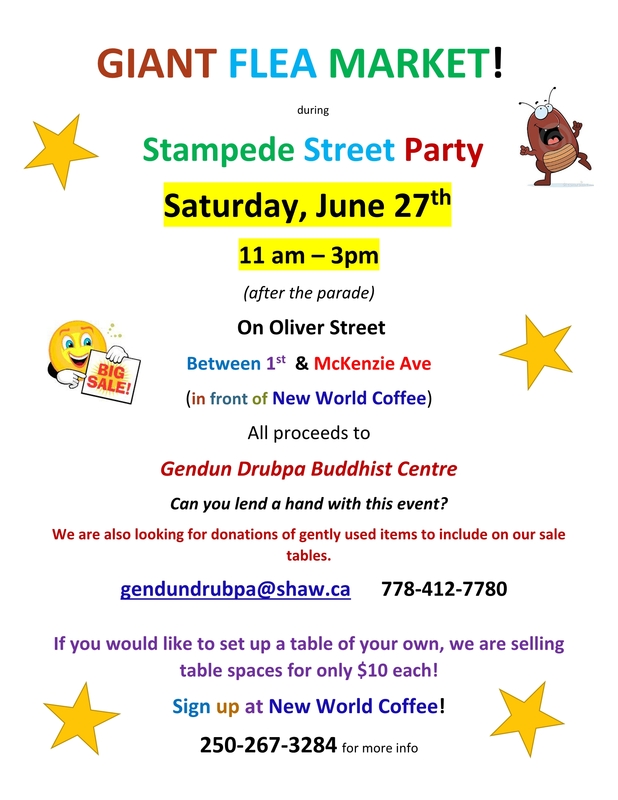 For a recent write-up on on Geshe Sherab from our sister centre in Toronto, click: Buddha Weekly. Geshe Sherab was born in Nepal of Tibetan parents, and received his education at Kopan Monastery, Nepal, the spiritual centre of the Foundation for the Preservation of the Mahayana Tradition (FPMT). He completed his studies at Sera Je Monastic University and at Gyume Tantric College in India. He has lived in the USA working at the FPMT Central office and several nearby Dharma Centres in Taos, New Mexico. Geshe Sherab arrives at Williams Lake airport. Join us to welcome him with a khata! Welcome Tea at Gendun Drubpa Centre. Say hello to Geshe-la over tea and sandwiches. Public Talk at New World Café – “Keeping Hope Alive in these Difficult Times”. Led by Gendun Drubpa Facilitating Team. Learn about valuable tools for compassion and how to use them in your life. Giving and receiving affection is the key to happiness, and compassion is the key that opens our hearts to affection. 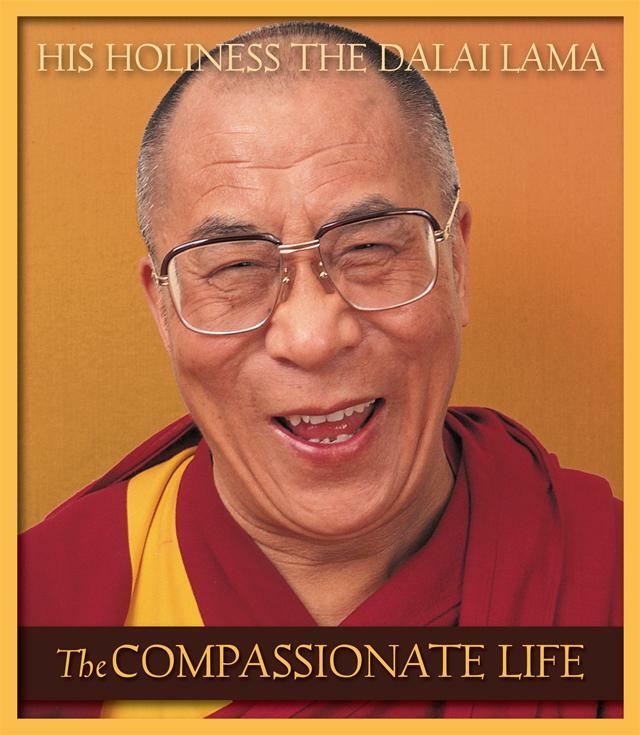 Touching and transformative, The Compassionate Life is a personal invitation from one of the world’s most gifted teachers to live a life of happiness, joy, and true prosperity. The purpose of life is to be happy, His Holiness reminds us. To be happy, we should devote ourselves to developing our own peace of mind; the more we care for the happiness of others, the greater our own peace of mind. Therefore, we must develop compassion for others in order to be truly happy. Please join us as we gather to recite this powerful sutra. This year’s continuous recitation of the Sutra of Golden Light begins on 7 May and continues through 21 May. We engage in the recitation of the sublime GLS to end suffering and the causes of suffering for all beings, to create conditions for compassion and loving-kindness to arise in one’s heart, and to remove obstacles to the long, stable lives of our teachers. Please join this recitation from wherever you are, in whatever way you can. Organize a recitation. You need no special permissions. 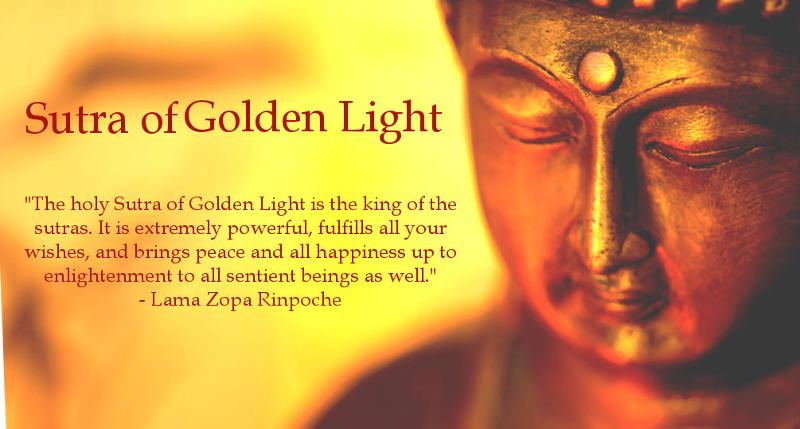 Simply give voice to the exalted Golden Light. Visualize you are leading a great gathering reciting the Golden Light Sutra. Set your motivation. As Lama Zopa Rinpoche notes, “Karma is more powerful when gathered by many …The more people there are supporting, the more powerful it becomes. When karma is more powerful the result comes more quickly, whether it is a project or realization.” We recite in order to lead all beings to complete enlightenment, to fulfill their needs, to establish peace, and to fulfill our teachers’ inconceivably compassionate wishes. Think, I myself, can do this. Before you begin, bathe your hands, face and feet. Take refuge and generate a good motivation. To multiply merits, say this mantra seven times: Om Dhare Dhare Bendhare Svaha. Recite a little bit, or all, one time, or many. When you finish, make heartfelt dedication. Then report your recitation to me here /fpmt.org/education/teachings/sutras/golden-light-sutra/email-reporting/ Include your location, dedications, and any experiences or questions you have. The Sutra is available for download in several languages. Marin Patenaude and Angie Holdal. Check out Marin’s New CD here! Larger venue! Cash Bar! 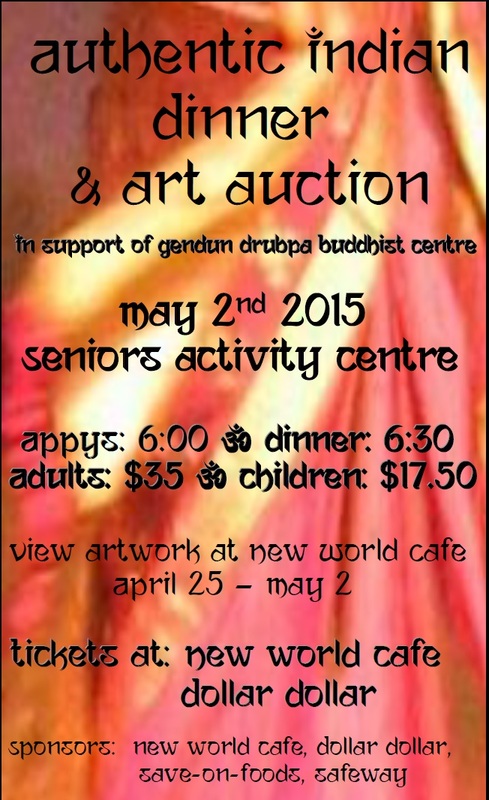 GREAT silent and live auction!